See what I did there? I just couldn’t resist. 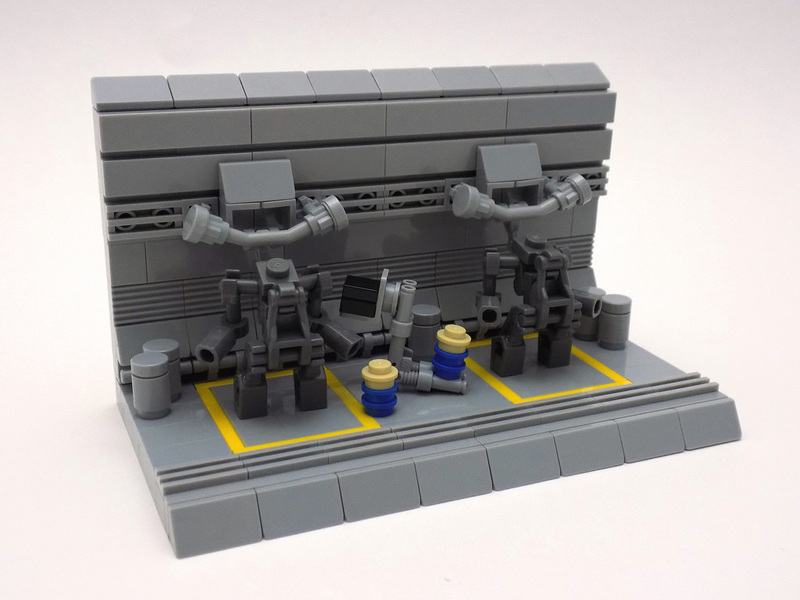 I love this microscale mech workshop built by Chris Maddison. It’s fantastic! The mechs are tiny, but imposing at the same time. It’s fantastic, and that forklift is really clever.